Families should wear solid colors in the same color range. Blues are good all year; Ivory, khaki, salmon are beset in summer greens; medium tones, browns, burgundies, and grays are good choices for the fall color. 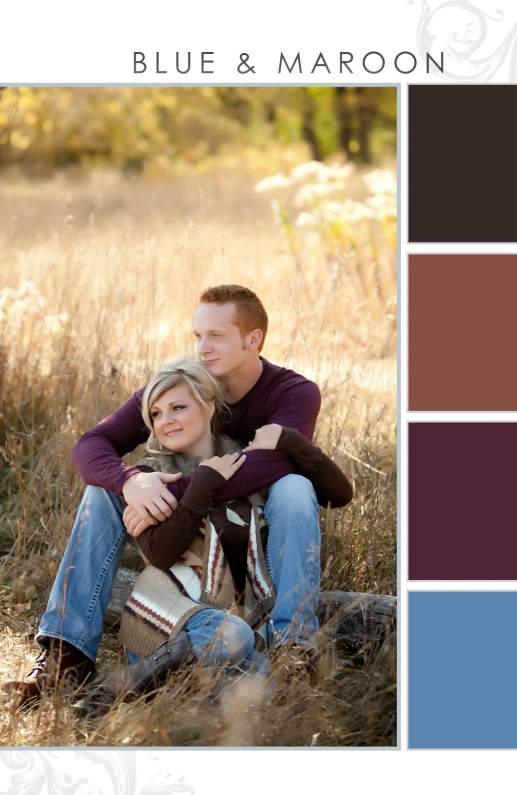 Solid colors in the same tones are best for any environmental portrait. These clothing choices will convey the "family" connection. Lip gloss should be avoided, as it may reflect the light and distort the lips. Hair should be styled as you see yourself -- your portrait sitting should not be the time to tryout a new hairdo. Men should have their hair cut approximately one week before the portrait. Please ask Bill Barbosa to review his color combinations with you!.